Chaun Tai is located on the west side of Taipei where the ancient city of Taipei was located. This neighborhood had been an important cultural and historical center in northern Taiwan since the late 1800s. The ancient city of Taipei had developed into a political center later during the colonial era. The presidential hall, the National Museum of History, the Taipei Train Station, as well as many other governmental buildings are all within walking distance of our firm. 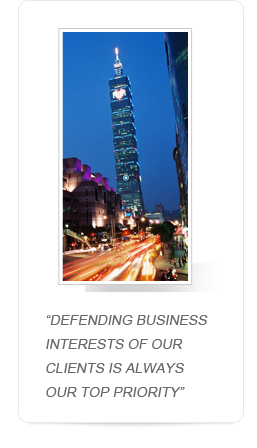 Chuan Tai is truly proud of its heritage, as well as the rich history of Taipei.